The costumer’s order behavior with regard to multifaceted products changes constantly. New special equipment, new types and derivatives, model upgrades and changing customer needs continuously alter the composition of the production program. During the tactical planning process, automobile manufactures and other mass producers have to coordinate their assemblies as exactly as possible with the orders. 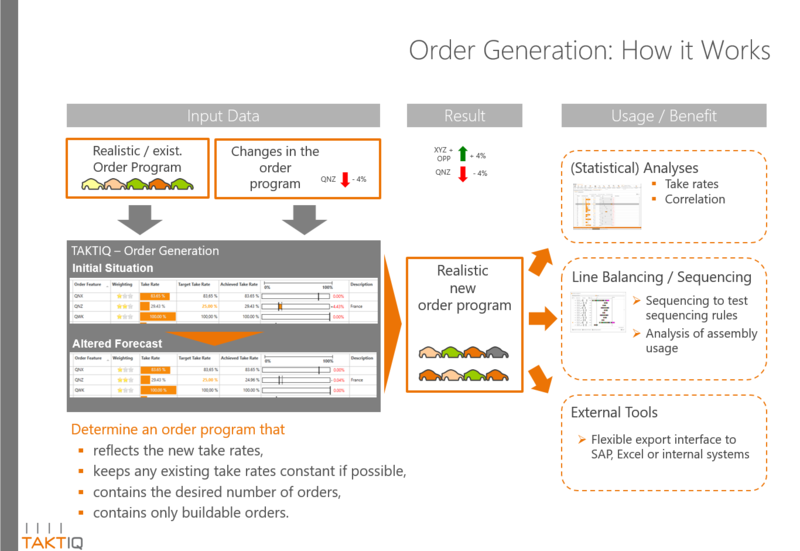 Trends and forecasts help to predict the order program in advance. However, it often takes hours and days to create realistic order programs in order to assess the impact of forecasted market changes on the production. Mathematical algorithms help to reduce this span of time to only a few seconds and to obtain more accurate and detailed results. 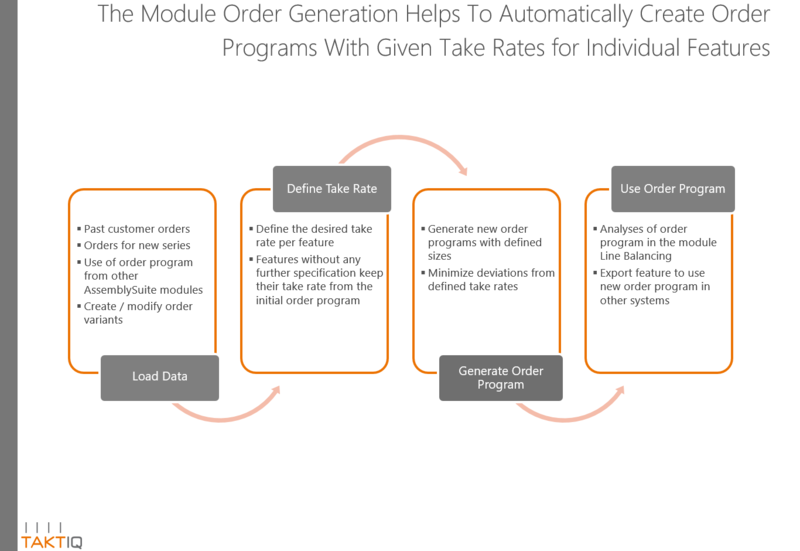 The module “Order Generation” generates order programs on the basis of forecasted take rates for specific order features. 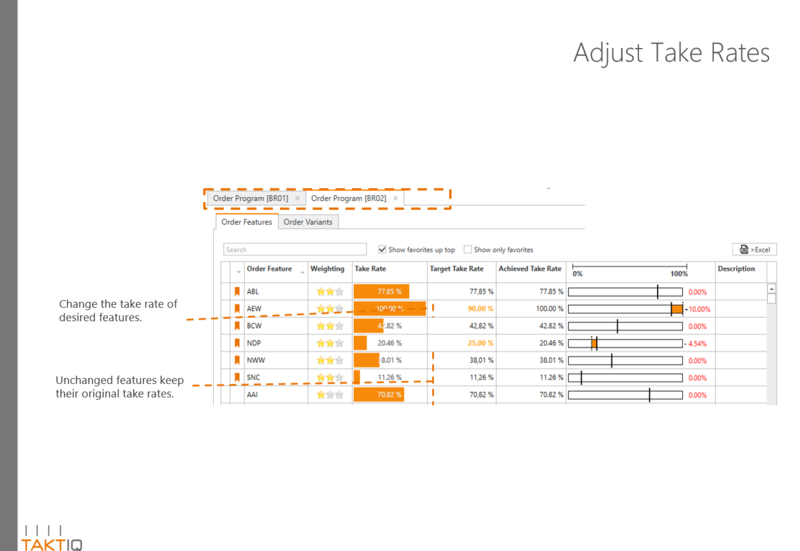 A mathematical optimization procedure ensures that the target take rates of desired order features are met as precisely as possible while all untouched order feature take rates remain the same. The software automatically considers dependencies between the order features. In an extremely short period of time, an order program of the highest quality will be produced. This program is the basis for further analyses, e.g. with regard to effects on workload in an assembly line or the requirements of some work stations. All things considered, these features contribute so that order programs are generated in a higher quality, faster and much more easy to access. 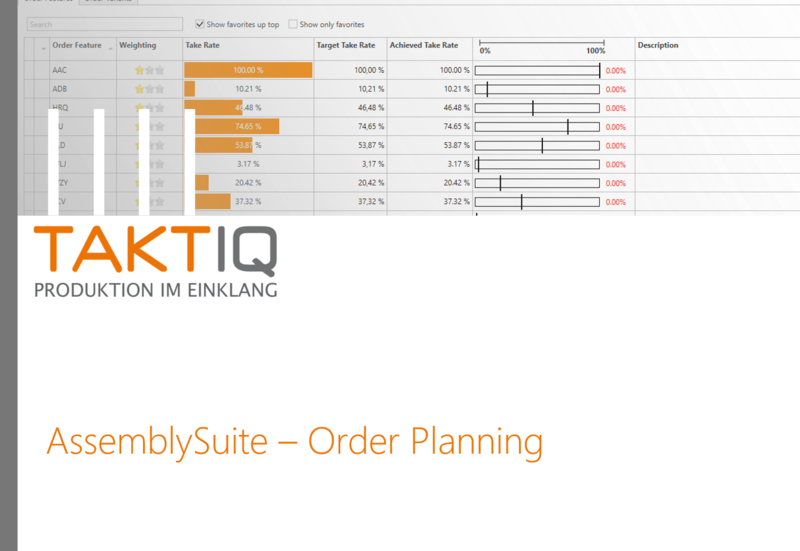 This is the way how you can prepare your assembly for the order programs of tomorrow.